The Prime Minister, Shri Narendra Modi, who is on a day-long visit to Uttar Pradesh, visited the Modern Coach Factory in Rae Bareli today. At a public meeting, he flagged off the 900th coach, and a Humsafar Rake. He also dedicated to the nation, inaugurated, or laid the Foundation Stone for various development projects at Rae Bareli. Speaking on the occasion, the Prime Minister said that the projects that were dedicated, inaugurated, or for which Foundation Stones were laid today, are cumulatively worth Rs. 1000 crore. The Prime Minister said that the Modern Coach Factory is providing jobs to youth, and will make Rae Bareli a global hub of rail coach manufacturing. 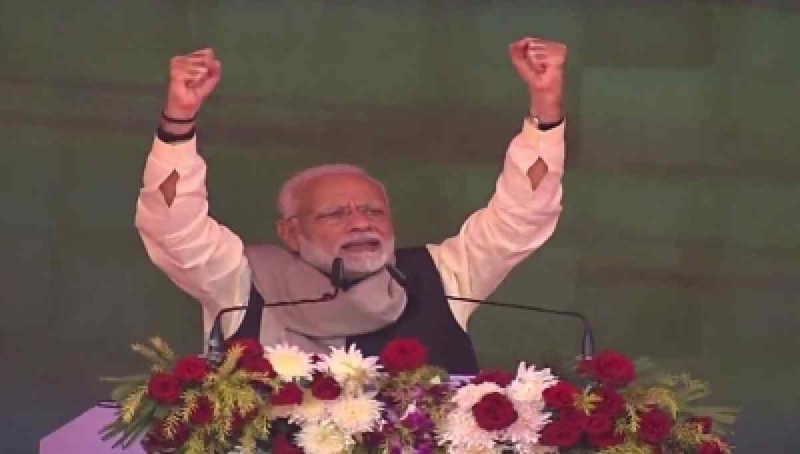 The Prime Minister recalled that it was on this day in 1971, that the Indian Army had defeated those that are a symbol of terror, cruelty and lawlessness. The Prime Minister said that today on one hand, the Government is trying to make the Armed Forces stronger; and on the other hand, there are those who do not want our Armed Forces to be strong. He said those that deal only in lies, are casting aspersions on the Defence Ministry, on the Air Force, and even on a foreign government. He said that the propensity to lie, can only be overcome by the truth. 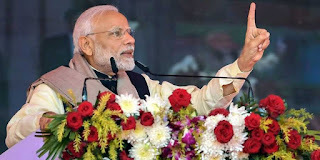 He said that when it comes to the country's security, and the requirements of the Armed Forces, the Union Government keeps only the interest of the nation in mind. The Prime Minister said that in order to increase farmers' incomes, the Union Government has already increased MSP for 22 crops. This decision alone will provide an extra amount of Rs. 60 thousand crore for the farmers. He said the Pradhan Mantri Fasal Bima Yojana has also benefited farmers whose crops have been destroyed by unforeseen causes. The Prime Minister said that the Union Government is committed to the Mantra of "Sabka Saath, Sabka Vikas."